The Secret Diary of Steve Jobs : Guess who’s coming to Walmart? Guess who’s coming to Walmart? You know, that Google phone? The one that was only sold online? 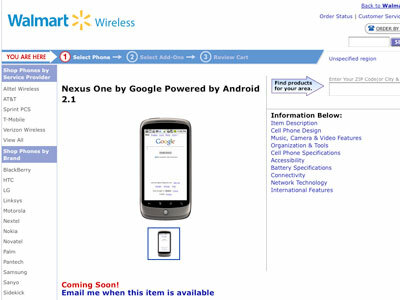 Google has decided they’d sell more units if they put it in the biggest retailer in the US.